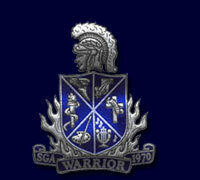 Southwest Georgia Academy was founded and established in 1970 in Damascus, Early County, Ga. The Haddock family donated the land on which the original school was built. Today, SGA’s offices, auditorium and high school classrooms are listed on the National Historic Register. SGA is a college preparatory school offering a K4 through 12th grade education to students in seven counties. The school offers a wide curriculum, sports and extra curricular activities designed to help develop leadership and fellowship among students and faculty.